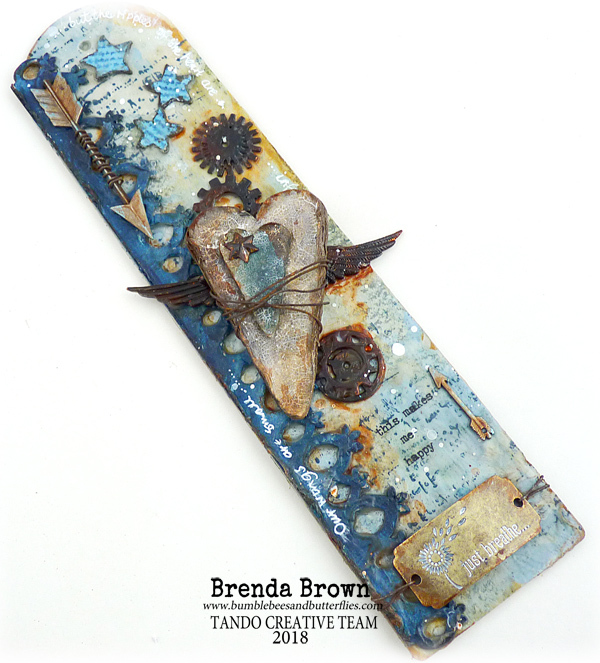 Welcome to a new week of projects at Tando where we are focussing on Love and Hearts - well I'm focussing more on the hearts lol. 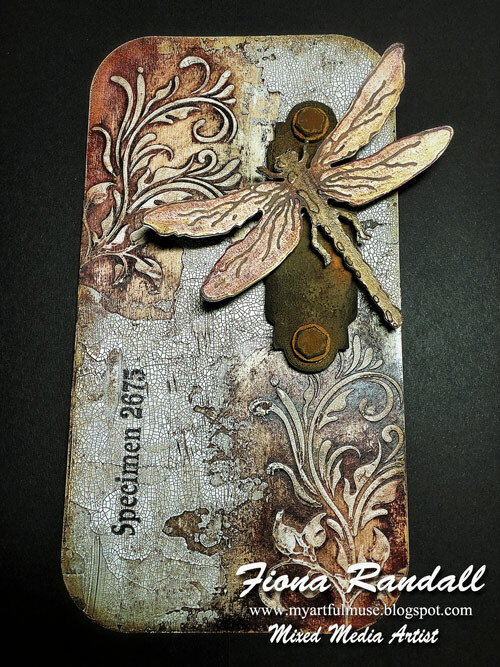 This one of the long tags to go with the long stencils that Di took to Hochanda last December. I soaked the greyboard hearts with spritzes of water and pulled at the edges to make them shabby and distressed. 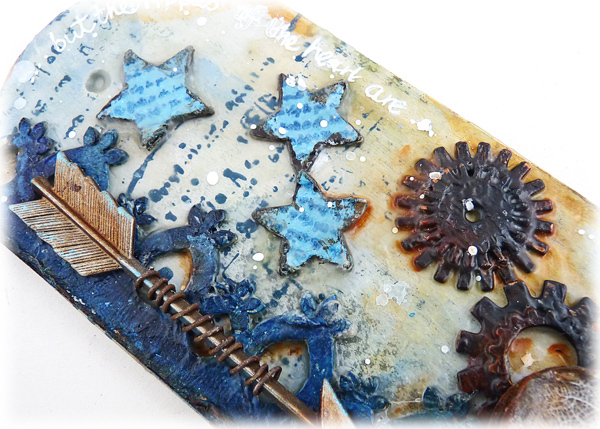 I painted them and used clear crackle glaze to get the effects. There was lots of the dip, drip and dry technique using media fluid acrylic washes with some asemic writing in white pen. 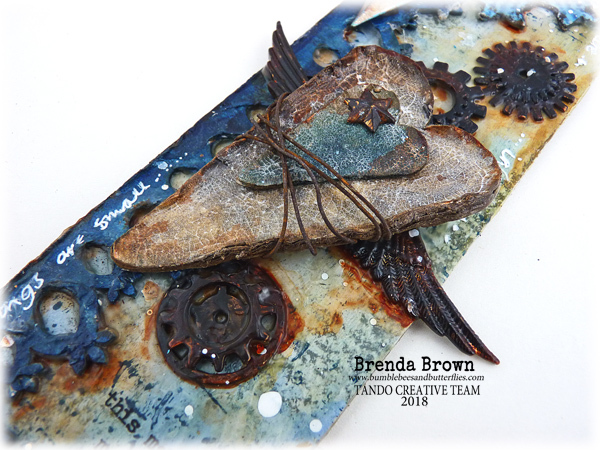 I also used my faux encaustic technique where I laid the embellishments in a layer of clear modeling paste to settle them into place. The modeling paste acts as a fantastic glue. 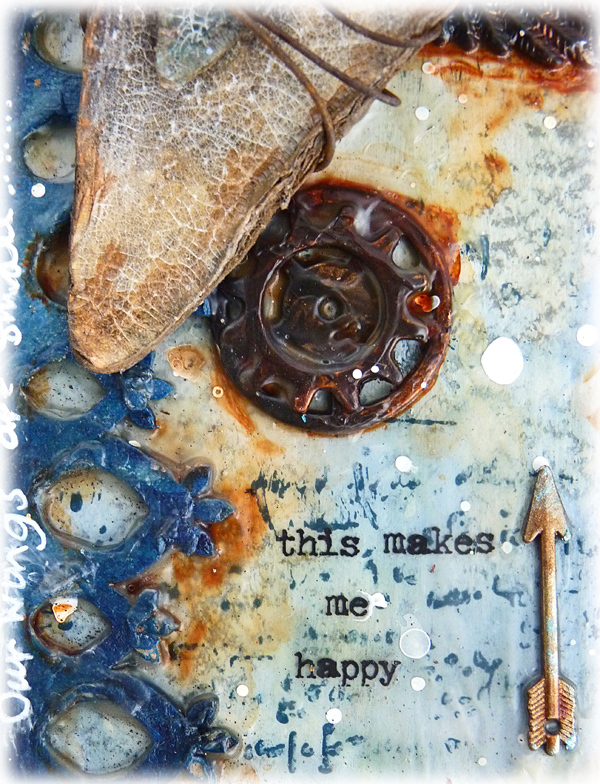 Mixed media, lots of painty layers and crackle effects certainly do indeed make me happy. If you would like to see all the process steps then please pop over to Bumblebees and Butterflies where there are more photos and information.